We are a leading Twitter business marketing agency, based in Crawley, West Sussex. 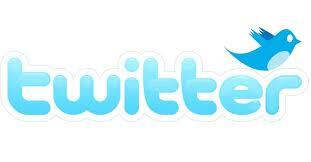 Twitter is a social networking phenomenon. Similar to texting but with far greater reach, Twitter enables users to send and receive punchy 140-character messages (‘Tweets’) from anyone who has signed up to follow them. Our services are primarily aimed at the small and medium sized business. We strive to deliver maximum return on investment (ROI) for businesses that want to dip their toe in the water of Twitter, and do not have vast budgets to commit! Under the leadership of experienced social media professional Paul Brewster, eapb specialise in helping small and medium size businesses generate more PROFIT, and acquire more profitable customers through the power and reach of Twitter. In addition, if you are already using Twitter for business we can demonstrate how you can SAVE MONEY by pinpointing areas of your current social media spend that are not delivering sufficient return on investment (ROI). According to Twitter, it now has over 500 million active users. But for those small companies that are still quite new to the world of tweets, Paul Brewster will take you through how eapb can deliver value-for-money Twitter marketing for your business, and open up new networking and branding opportunities. We offer a free, no obligation consultation and business review to anyone wanting to know more about our Twitter business marketing services. We’d be delighted to talk you about your business, covering everything in plain and simple English! We are a results-driven company.